Good news for fans of Charmed. After months of rumors and suggestions, Deadline reports The CW has ordered a reboot of the popular WB TV series. For some time, rumors have circulated of a Charmed reboot on the horizon. Last year, original showrunner Brad Kern said he was not opposed to the idea of a revival and Holly Marie Combs told US Weekly in April that the original cast would love a reunion. While the The CW‘s version of Charmed will not be a reunion per se, it will be a reimagined version of the original series set in 1976. The project is being executive produced by Jane the Virgin creator Jennie Snyder Urman and Ben Silverman, with Jessica O’Toole and Amy Rardin set to write. No word yet whether any of the original cast members will be involved. What do you think? Are you a fan of Charmed? Would you watch the reboot? More about: Charmed (1998), Charmed (2018), The CW TV shows: canceled or renewed? 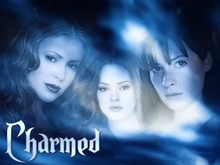 I really love charmed and I wished that the original charmed didn’t end so quickly, that the children of the charmed ones took over, and the original charmed ones would coach their children. The reboot also sounds good to. I think it should be the next generation. Have the originals as guest star once in awhile. Only if it had the original cast. Meh. There are better shows to reboot…BTVS anyone? The reboot set in 1976? Sounds like a prequel set 22 years before the original series. Why set it in 1976? Why not set it in present day? TVline has the full synopsis, which is terrible. The three women are not sisters and not related to characters of the original. The showrunner is from Jane the Virgin, so it’ll be terrible.